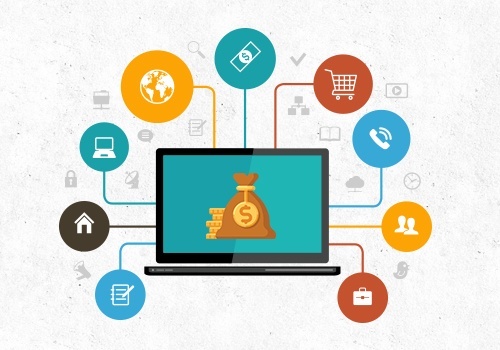 Worried About Marketing Automation Costs? Ask Your Vendor These 7 Questions! If you’re a marketer, you would’ve heard about marketing automation but if you’re a smart marketer, you would be either be considering to adopt marketing automation or already using it. In our earlier blog - 10 Marketing Automation Tools For Smart Marketers, we have discussed about the best marketing automation tools to adapt for your business. Choosing the right marketing automation platform is critical for the success of your marketing campaigns. Before you go ahead with finalizing the marketing automation vendor, you must consider asking a few questions in order to take a well-informed decision in terms of cost for the marketing automation platform. What are the Features Available for the Selected Price Plan? Marketing automation vendors offer tiered or bundled pricing packages which offer different features in particular packages. You should compare the features list of each package to carefully consider which suits your business objective and your budget perfectly. Make sure you get everything you need for running automated marketing campaigns. Are There Any Setup and Implementation Charges? 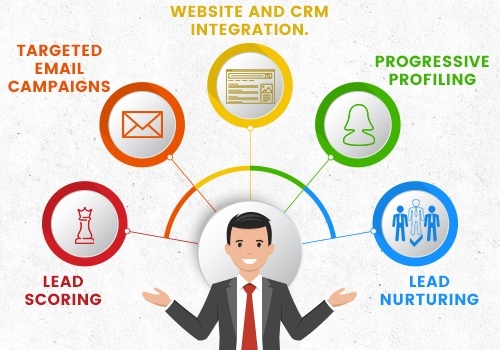 There are few marketing automation providers who offer initial setup and onboarding at no extra price while many others who suggest premium services of paid setup and implementation. You must discuss the benefits of the paid setup and compare with the basic setup provided. Also, check for support offered in both cases. Will Ongoing Trainings Be Charged Extra? Usually initial basic training is provided free of cost by most marketing automation providers. Marketing automation is relatively new, hence requires training for on-boarding the user and building a long term relationship. Trainings may be offered through live webinars or through tutorials. Is There an Additional Price for Additional Users? Many marketing automation vendors allow unlimited users for a given price bundle. On the other hand, few vendors allow specific number of users for a certain price package. You must plan ahead for the number of users you wish to train for marketing automation to decide accordingly. If your business is in the expansion mode, you might want to consider a package which permits unlimited users in a given period of time. You can always negotiate for the number of users in your price bundle. What Happens When You Exceed the Number of Calls/Emails Specified in Your Package? Be sure to understand the details of your package in terms of contacts and emails. Don’t be surprised when your marketing automation provider sends an extra bill for the contacts and emails which are beyond the specified limit. Negotiate for the extra contacts and emails beforehand to enjoy a hassle-free marketing automation experience. Will Support Be Charged Extra? There are wide range of support services like call, email, support community groups, chat support etc. available for marketing automation problems. Mostly these support services are available for free. But, in case of any strategic or tactical troubleshooting you may have to shell out a few extra dollars. This kind of support is usually provided by your vendor’s authorized partners, thus, the extra charges. Will Integration With Other Technologies Be Charged Extra? Usually all marketing automation platforms support integration with other technologies, hence there are no additional charges. However, for the platforms which don’t offer native integration, you may be charged extra which may be a one-time or an ongoing fee. By asking the above 7 questions to your marketing automation vendor, you’ll have a better understanding of the true cost of marketing automation. Once, you know the final cost, it will help you select the right marketing automation tool for your business to plan your marketing strategy and campaign for maximizing your ROI. Need help with on-boarding of HubSpot marketing automation solution? The certified marketing automation experts at Prodigitas will help you with the complete marketing automation solution to help your business scale new heights. Schedule A Call With A Marketing Automation Specialist! Drive More ROI With the Right Marketing Automation Tool!